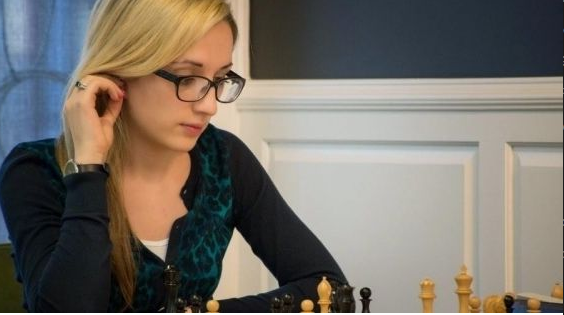 A female chess player has boycotted an Iranian tournament because she would be forced to comply with local laws regarding wearing head scarves. Nazi Paikidze-Barnes has called the rule “religious and sexist discrimination”. She is, of course, right on both counts. The fact that women cannot dictate their own body and self-expression is a violation of their rights to autonomy, freedom of speech, freedom to choose their own conduct, and freedom to follow their own faith as they see fit. That would be awful even if men were being constrained in similarly egregious ways, but it is doubly awful that they are not. Unsurprisingly, her refusal has sparked a firestorm of responses. We can ignore the apologia for the rules in Iran, by and large, though we will be returning to why those apologia are irrelevant and vile. However, there are some who make valid points. For example: Some argue that Iran has fought hard to be able to host an event like this, and it’s a big honor. But, of course, the problem is precisely that they have not earned that honor and they have not worked hard enough to abandon medieval ways of thinking that violate human rights and prerogatives. Now, in this vein, one could argue that we should support this nation that has so historically been under the thumb of other powers, such as the way that the United States overthrew Mossadeq and installed the Shah. But, again, that’s ignoring that the Khomeini also has a thumb, and the Iranian rulers are themselves harming people both inside their country and abroad. These conversations eventually turn to the issue of multiculturalism. But the problem is that that discussion is never had in an honest or systemic way. In a vain effort to try to at least correct some people’s thinking, I’d like to address why Pazidke-Barnes is unquestionably right and why no one should be playing chess in Iran or indeed complying with the regime in any way. On the one hand are people insisting that multiculturalism is a lie and that superior cultures should decimate or keep out or harm others. On the other are people insisting that culture is totally arbitrary and there’s no position of judgment. The problem with both these positions is that they are essentially inhuman. See, a “culture” is an abstraction. At the end of the day, I have different behaviors, values and ways of thinking from my parents, my friends and my family. Even though we are not only part of the same “culture” but the same immediate strong social network, we are all still different. So where does that “culture” of me and my values start to pull others into my sphere and when does it stop? There are people who may like the same kinds of video games, movies and television shows I do, but whose values are intellectually and morally fascist. They would identify with Andrew Jackson while I identify with Dr. King. Dr. King is not from my background: He was black, I am white; he was Christian, I am Buddhist; he was Southern, I am from California. But on a different metric, the metric I actually care about, I am within his sphere of values and I am stridently opposed to immediate neighbors who are in a different sphere of values. The only way that you can be against “multiculturalism” to some degree is if you believe that every single human being should, by some kind of iron law of nature or logic or ethics, be an exact ideological clone of you. Indeed, they should be like you not only in ideology but in every manner of preference and behavior. If someone dislikes a movie you love, they must be exterminated. Precisely no one thinks this way. Even the most vile misanthropes, the most isolated and contemptuous hermits, and the most fascistic minds intrinsically tolerate a world of people who aren’t them. At that point, where we are tolerating different people from us, we can no longer be against multiculturalism. And the only possible framework to be able to get along in order to even ask that question is a world of democratic pluralism. That means that the only logical position that one can have, if one is not insisting on a world of people who are carbon copies of oneself, is to figure out some kind of maxim that lets one differentiate between good and bad behavior. Even if the only thing we are concerned about is the kind of behavior that maintains that multicultural equilibrium, we still have to differentiate. This leads us to two issues. One is comparatively easy, the other is much harder. In essence, the response is, “Any choice that doesn’t adversely effect others, or doesn’t adversely effect them to a completely intolerable and overtly indefensible degree”, and we can even get rid of the second category. I don’t get to say that it would be better for you to vote Green instead of Republican, or to stop doing drugs, or to eat celery instead of buffalo wings, or to forgive instead of holding a grudge, and thereby use a gun or a baton or drugs or prison walls to force you to do so. I can tell you all of the things I find preferable are indeed preferable for you, barring me not harassing you, breaking onto your property, committing libel against you, or otherwise harming you in some way that requires legal redress, and you can tell me to jump off a bridge. Again, this is the only possible way that a society of people can live like adults in a collaborative fashion. In reality, of course, it’s possible that in some cases other people know our needs and desires better than we do; but in other cases they simply don’t, and no one has a good maxim to decide which. In any instance, even if another person could perfectly make choices for us, they don’t have the right to. They have no superior position from which to do so. To preserve individual autonomy means that people must be free to express themselves in any way without restriction. If their worship seems vile to you, that is not your business. If their message seems destructive, you do not get to gag them. But they don’t get to do it to you either. Simple: Nadi can’t be forced to wear a hijab, and women elsewhere can’t be forced not to. If a woman decides that she believes in modesty, or wants to keep men from looking at her, or believes in her holy text’s sacred mandates, she can wear a burqa and she can’t be stopped from doing so. (Again, all of this is “all else held equal”: if, for example, she can’t drive safely with a burqa, then she better make a choice between her modesty and her convenience of driving). And if a woman decides she doesn’t want to wear a head scarf, she can’t rightly be forced to either. The point is elementary, and yet in a free society apparently people on both sides of the aisle have managed to accept authoritarian assumptions. But there’s a good reason, in reality, for these authoritarian assumptions: it’s the second question we have to answer. A person can freely choose to smoke cigarettes or drink, but it’s harmful to them. That’s obvious. It’s less obvious, but arguable, that a burqa is the same way. A feminist might argue that someone who chooses to wear a burqa is doing so due to pressures that are harmful to her. And that is fair. But she gets to do that, and your only recourse is to stop any actual abuse or coercion that interferes with her choice, including your own. This is an unsatisfactory response to many. We want people to leave abusive relationships. We want people to live the best life possible. That’s empathy. That’s a good thing. It’s a sign of people’s fundamental decency that even many of those with grotesque far-right positions on this topic still care about ethics in some capacity. They look at Islam, see what they view as barbaric practices, and want to stop it to some degree. That’s a very good impulse. But like a lot of good impulses, taken too far it can become very, very harmful. No one has figured out the perfect way of living life. Indeed, we have good reason to believe that no one ever will. The “good life” is contextual: it’s based not only on who we are, as a result of interlocking patterns of nature and nurture that connect us unbroken to the very first humans (and then by extension to all life prior and a causal history going all the way back to the Big Bang and all the way forward to the end of the universe), but also based on the specific world we happen to live in. The idea that there could be some perfect way of figuring out the perfect response in each complex context is ludicrous. But even if we could find some perfect way of living life that would maximize felicity for all, it doesn’t mean anything if people don’t freely choose it for themselves. This is the scary conclusion of living in a world of essential beings, of people like us who feel and breathe and think like us, and yet whose inner worlds are different. A world of unique snowflakes is beautiful, but it has horrifying implications, one which the mind both of the fascist and of the liberal recoils. We have to accept that other people can only be brought to change that is good for them by a messy, complex, even ethically compromising process of us living with them, caring about them, touching them and letting them touch us. We have to accept that we can speak to them and we can speak back, and we will transform each other doing so. It’s scary. It involves us metamorphosing into something new and leaving the husk of who we were behind. It involves trusting in others that they can change and being ready to accept that many simply won’t, and that we’ll fail. Which is why Nadi’s protest is exactly right. She is not shooting anyone. She is not killing anyone, or dropping any bombs, or even saying that anyone’s faith is laughable barbarism. She is merely standing up for a principle and telling people, “Stop telling others how to live their life at the barrel of the gun. Don’t do it to me or to anyone else”. Only with protests like Nadi’s can we achieve the dream of a world where everyone can live their version of the good life, unmolested.